At Opera, we take security very seriously. 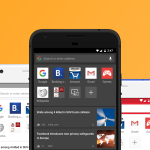 It has come to our attention that unsecure and malicious ads have been popping up in the Opera Mini and Opera for Android mobile browsers for some time. 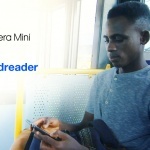 We continuously receive reports about these ads from users of Opera Mini and Opera for Android — via our social-media channels and bug-reporting system, as well as in our Google Play reviews. These deceptive, intrusive, malicious ads and pop-ups appear in webpages while you are browsing. They come in many forms, but always feature a download link or a download button – which takes you to UC Browser. 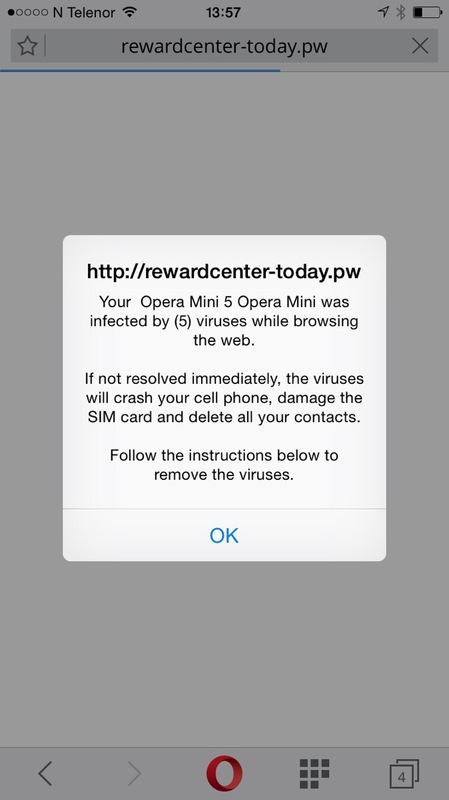 Other times, these malicious “ads” fill your screen with warning messages that Opera Mini is unsafe, with a call-to-action to click an external link that, again, leads to a UC Browser download. These unsecure webpages can even be as ridiculous as telling you that you have less than five minutes to click a link to save your phone from damage. When we opened this particular ad on our devices, it was accompanied by intense vibrating and sudden loud noises, making for a very negative and uncomfortable experience. 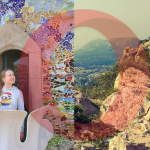 At Opera, we play clean. We do not hijack others’ properties in an attempt to trick people into downloading our browsers and apps. We work to bring a safe internet experience to all. So far, we have seen no action from the UC Browser team to remove these unethical webpages. If an external group outside the official UC Browser team is activating these unsecure webpages, without its knowledge, then the UC Browser team is obliged to report the pages to Google and then do the best it can to pull them down. After all, this also ruins the UC Browser brand by association with such tactics. We will not just stand by and let people smear our products and scare our users. We will continue talking to Google about this situation, and we are calling on UC Browser for its help in stopping these malicious ads. Let’s keep the web a fair and an enjoyable place to be. Good news! Since publishing this blog post, UC Browser got in touch with us and clarified that third-party publishers are responsible for these ads. We understand this is not just an Opera/UC issue but rather an app industry issue. 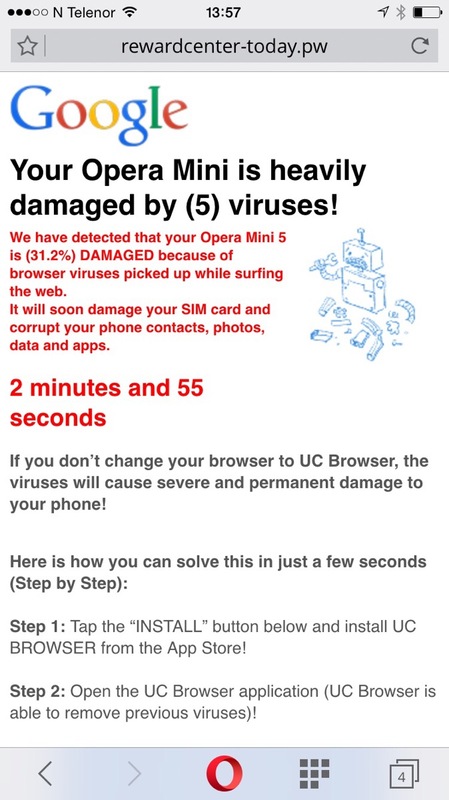 UC and Opera will work together to stop these kinds of malicious ads. “We recently noticed that some unscrupulous marketing publishers are using scareware to drive traffic to our apps. This is against our policies. We strongly urge users to report such ad links to help protect the user experience.